Doctor Who best episodes: City of Death, written by Douglas Adams, with John Cleese cameo. Summer is right around the corner, and it’s the perfect time to catch up with a few of those shows everyone is always saying you should watch. But there are so many! How can you decide which to try? Pilot episodes have so much introductory work to do; they’re usually subpar compared with the great stuff to come. And the very best episodes of a series often demand too much knowledge of what came before. You need to find the gateway episode, one you can watch without any background knowledge and which will give you a real sense of the show—and whether you’ll like it. In this new weekly Brow Beat series, we’ll be directing you to the best gateway episodes for great series you should watch this summer. For many Doctor Who connoisseurs, the BBC’s 2005 rebooting of the classic British sci-fi series has been a mixed blessing. While the revival of the program is an answer to many very nerdy prayers, the considerable success of the revamped series on both sides of the Atlantic has arguably pushed the classic original series even further into the shadows. Previously regarded as a monumental and ground-breaking touchstone in TV sci-fi, direct comparison with the new, glitzy Doctor Who has underlined the classic’s dated, low-budget aesthetic and self-conscious, post-war British fustiness. This is a shame. While not as polished or “commercially viable” as the new Doctor Who, much of the original series—first broadcast in the U.K. in 1963 and unceremoniously left for dead in 1989—has an inadvertent charm and genuine quirkiness that the new series lacks even at its best moments. Where the new series adheres to formula and often goes for cheap thrills, the original series is more “Masterpiece Theatre in Space” than run-of-the-mill sci-fi. Nevertheless, as any Doctor Who fan will tell you, the quality of the original program over its 26 years on the air was uneven at best, and wading through the original series’ 155 multi-part serials can be a downright chore. For every brilliant Caves of Androzani, there is an excruciating Twin Dilemma. And while early serials like The Keys of Marinus are well-preserved and easily obtainable, only soundtracks and still images exist for over 106 episodes of the program from the 1960s, which the BBC accidentally destroyed or lost. I’m here to make your introduction to the series simple. Opinions about where to start are as varied as the quality of the original series, but I’m going to take a stand on a few important considerations. First of all: length. Unlike the rebooted series, where standalone hour-long episodes are the norm, the standard format for the classic series was the multi-part serial, consisting of anywhere from 2 to 12 half-hour episodes in a single storyline. Many of the series’ greatest triumphs, like the six-part Talons of Weng-Chiang and the seven-part Inferno are on the lengthy side, but I recommend starting with a more common four-parter. Such a story will be rich enough in plot and characterization to give you a good taste of classic Who, but will not excessively tax a newbie who’s still on the fence about commitment. The next critical question: Which Doctor to start with? The title character, a time-travelling Time Lord with a host of comely companions, has been played by 11 different actors to date, 7 of those between 1963 and 1989. 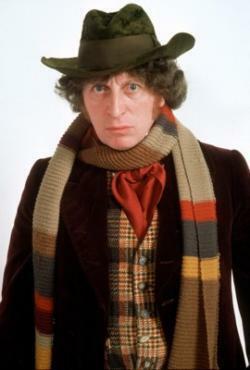 Every fan has his or her favorite, but the most reliable crowd pleaser is probably Tom Baker, who played the Fourth Doctor from 1974 to 1981. Yes, you may run into a fan who swears by Patrick Troughton (Second Doctor, 1966–1969) or Peter Davison (Fifth Doctor, 1981­–1984), but most fans would agree that Tom Baker’s wacky and magnetic portrayal is a safe bet for a novice. This leaves only the most important question: Which story to start with? With seven seasons of generally first-rate Who, there is a solid amount of material from the Tom Baker era to choose from. I recommend that you start with the wonderfully accessible City of Death, from the show’s 17th season. Penned mostly by the legendary Douglas Adams, author of Hitchhiker’s Guide to the Galaxy, City of Death is equal parts suspenseful and hilarious. 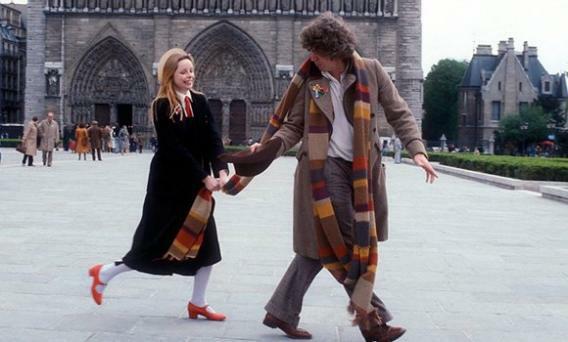 Rare for the series, it was also filmed on location (in Paris of all places), and so it looks better (i.e., less tacky) than most contemporary episodes. And in addition to co-starring the rightfully popular companion Romana (played by the lovely Lalla Ward), it also boasts a terrific portrayal by Julian Glover of the villainous Count Scarlioni—and even a brief cameo by John Cleese. In short, not only is it vintage Who, but it has enough eye candy for even the most casual viewer. I can’t promise that it will inspire you to watch all the remaining extant episodes or knit a 20-foot-long multi-color scarf (I plead guilty to both). But here’s hoping.